Inspect playing surface for possible defects. Notify & mark as needed. Close & lock both Senior Center lot chain & gate at Hobart St. 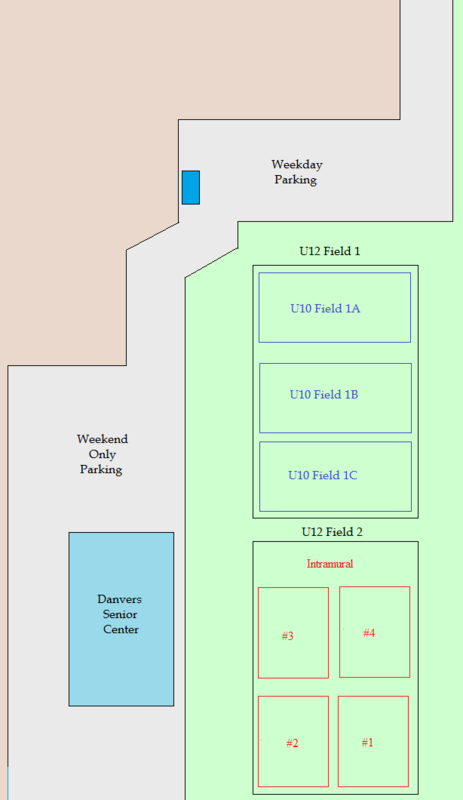 The Senior Center parking lot is available on weekends only, and has access through the new connector road near the far right corner when you enter the main Gates parking lot. The gate or chain will be opened on Friday nights/Saturday morning, and will be locked back up Sunday evenings. Between these two lots there should be sufficient parking for all events. Please do not exit the Senior Center parking lot through Stone and Martin Street. We have been asked to enter and exit through the Hobart Street entrance. Notify Director of Fields of any necessary upkeep. There is no parking or soccer drop off on Cornell Street. There is no access to the field from Grapevine, this is an exit only. 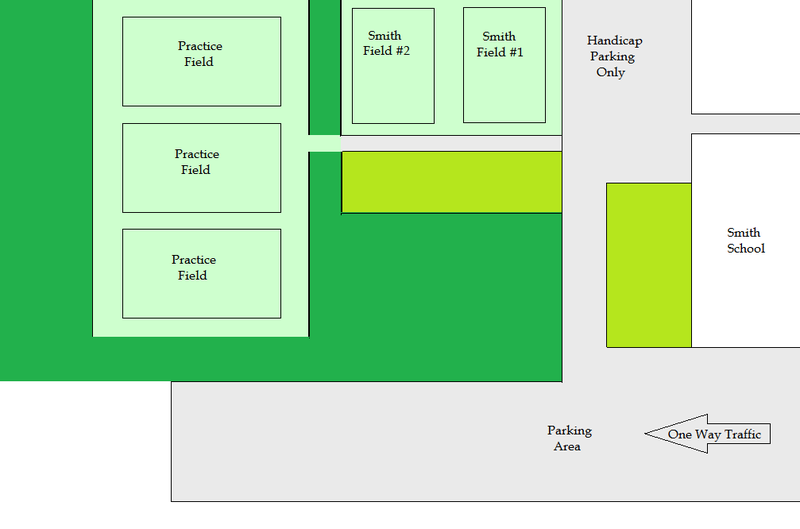 Please use Grapevine and Avon (the back and front access roads) for exiting the fields. There is no street parking anywhere near these fields. No parking on any access road. Please respect residential area. Failure to follow rules will result in loss of permit. 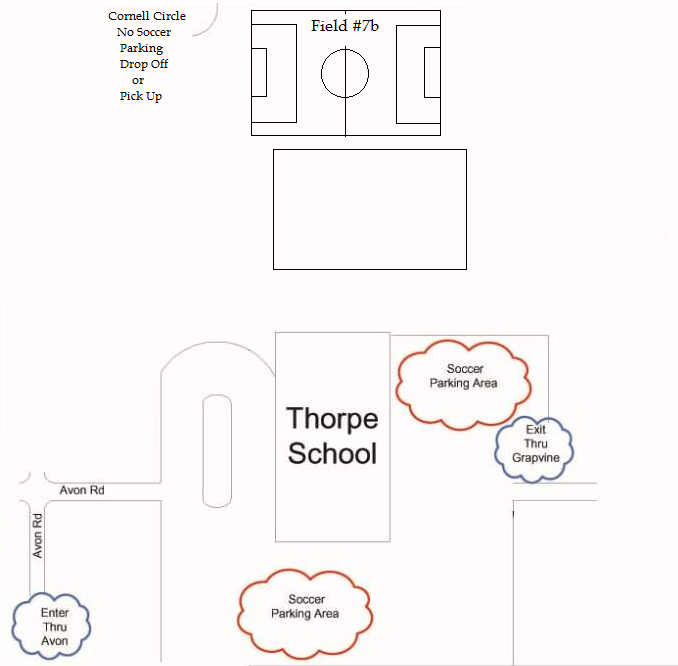 Please obey ONE WAY entrance and exit into school area. Parking can overflow into area neighborhood. Smith School neighbors are very nice to DYS spectators so please be respectful of their property and speed limit restrictions or loss of field permits may occur.